When some basic needs start be become too much like making meals or getting dressed, assisted living for seniors is available. Assisted living, unlike independent living, provides varying levels of personal care and support, depending on the needs of the resident. Selecting an assisted living facility involves a systematic process, beginning with an understanding of how this move will affect the financial picture. According to SeniorLiving.com, needed level of care depends on the number of Basic ADLs (Activities of Daily Living) with which the resident needs assistance and the degree of help required to complete those tasks. ADLs are generally defined as bathing, dressing, eating, mobility, personal hygiene and toilet hygiene. In addition, if the resident needs assistance with medication or begins to suffer memory impairment, the needed level of care goes up. Patricia Maisano, founder and chief innovation officer at senior advocacy organization, IKOR says that most facilities provide care at four levels. 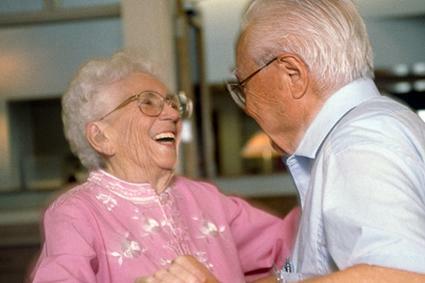 Each assisted living facility conducts a level of care assessment before a loved one is admitted. General knowledge about the various levels of care, however, can help families and potential residents provide valuable information when that assessment is made. Level one is for those who require very little help with ADLs and is similar to independent living. Level one residents, Maisano says, may simply need cuing such as a knock on the door to remind the resident that, "Dinner is ready." Because there is a minimal amount of care required, level one is the least expensive option. It is more expensive than a level one facility. Level three residents typically require help with all of their ADLs. The difference between a level three facility and a nursing home is that the residents in a level three facility do not require complex medical care. Level four residents, on the other hand, are close to requiring a skilled care center (nursing home). Due to the increased level of care, this is most expensive option in assisted living. According to the Assisted Living Federation of America (ALFA) the average cost for a private, one bedroom, assisted living apartment is a little more than $3,000 per month. Maisano, notes that the actual cost is "all over the map and depends on the level of care needed and whether (the loved one) has memory loss." However, cost remains an important factor in helping you choose a facility. Typically, assisted living is paid for from private funds, according to SeniorLiving.org. However, some long-term care insurance policies cover assisted living, and in some states, Medicaid funds help pay the monthly cost. In addition, certain war veterans (and spouses) qualify for veteran's benefits that can help cover assisted living expenses. It is wise, ahead of the actual search, to look into potential payment options to ensure the funds will be there when needed. "Once (your) finances are in order," Maisano says, "the search begins." ALFA has a search engine on its website designed to located assisted living facilities by zip code or city and state. Advocacy organizations like IKOR or a referral service such as A Place for Mom can also help you or your loved one find potential facilities to consider. You may also try searching on your state website's department of health website. Depending on the number of facilities available to you, it may be necessary to pare your list down to a manageable level. Use the general information you find online or advice from friends and family to compile a short list of three to five facilities to visit. If none of them pan out, you can always go back to the master list and start again. Maisano suggests a minimum of two visits to any facility deemed worthy of consideration. "In addition," she suggests, "Take a pad of paper and a pencil when visiting facilities. Write down questions and take notes as you go." The purpose of the first visit, is to evaluate the facility. Maisano suggests making note of the following items. Setting can range from a family type arrangement to something that almost duplicates a five-star hotel. Family members, she says, need to take themselves out of the equation and look more realistically at what their loved one prefers. Maisano notes it's important to ask what setting is going to be most comfortable for the future resident. In addition, Maisano suggests families consider the physical location of the facility - especially with regard to "ease of visiting" by family and friends. As memory and other health issues enter the picture, visitors can provide memory cues and emotional support that can make a huge difference in quality of life. It is very important to identify both the variety and type of activities available at each facility under consideration. Variety: "Make sure there's a variety, not just a ride to a mall or bingo," Maisano says. "Ask for an old activity calendar. You don't need a new one. The reason I ask for an old one is that nobody is going to tamper with it. I can see the diversity of the activities." Type: Another question to consider is whether the typical activities offered are appropriate for your loved one. Cerebral activities such as lectures could be much more satisfying to some people than games or crafts. It all depends on the individual. It is important to consider whether meals are prepared on-site or trucked in. Maisano says the ability to modify a meal, based on likes and dislikes is low when the meal is prepared off-site. In addition, and more importantly, she says, on-site preparation helps with specialized meals including soft diet, no salt, low fat and so forth. Maisano calls the culture factor 'magical' because it can make all the difference for a resident, and yet it is frequently not taken into account when selecting a facility. The key to finding the right kind of culture, Maisano says, is to go back to when the loved one was in their 40s. What were they like? How did they interact with others? What were their favorite hobbies or activities? Social vs. Solo: For example if a woman's favorite hobby was knitting or something else that could be done in more isolation, putting her in a highly social environment could result in her becoming more reclusive. Conversely, if someone was incredibly social in their 40s, with lots of outside-the-home activities and friends, a more social environment is appropriate. Friends and Acquaintances: It's also important, to some degree at least, to ask about the types of people in the facility and how they match up with the potential resident. "Were they CPOs and CFOs or were they a working person who worked in the mailroom?" Maisano asked. It's important, she noted, to ensure that at least some residents fit the personality background of the family member considering that facility. Assuming a facility passes muster on the first visit, the second visit should be dedicated to an examination and evaluation of staff and administration, according to Maisano. Maisano says, "It's important to listen. Keep ears open to hearing how the staff talks to the residents. Is it friendly? Is it dignified? Is it considerate?" "I like it," she said, "when the tour person, who is always a salesperson, sees someone who needs something, goes over, calls that person by name and attends to her need." Note the ratio of residents to staff. Maisano notes that in many states, the maximum allowed ratio of residents to staff is eight to one. "While that sounds impressive, what they don't tell you is that the law allows for eight residents to each employee. An employee can be a cook, cleaning person or maintenance person - not necessarily someone who interacts with residents on a regular basis." Staff longevity is another critical measure of staff quality, according to Maisano. She cautions visitors not to judge staff based on environment alone. "Many, many times," she says, "those most basic of basic places have staff who have been there 20 years." Attitude about residents comes from the top down according to Maisano. "If you have an administrator who never leaves his office," she says, "who doesn't know his residents, who could care less whether the floor staff cares, that will trickle down and invade every area of the facility." Ask to meet the administrator. If that's not possible, ask several employees how often they see the administrator "on the floor." If the answer is "never" or "seldom" a flag should go up. Any search and evaluation of assisted living should include a look at past problems and, more importantly, how those problems were (or were not) resolved. A Place for Mom has posted a State Guide to Assisted Living Records & Reports that provides a state-by-state rating of accessibility for assisted living facilities. Maisano notes some additional resources that potential residents and their families can utilize to dig a little deeper into a facility and any problems it may have experienced in the past. Regulations vary from state to state, Maisano says, advising people to look up and become familiar with those regulations before shopping. State regulations are posted online and the Assisted Living Federation of America provides a link to all states in one place. Facilities in Medicare, Maisano says, must post a notebook showing the results of their last Medicare evaluation. If the notebook shows deficiencies that have not been corrected, or that recur, you should note it and address the issues with staff. Most states also have an Ombudsman's office that processes complaints and concerns, including those that come to the attention of that office regarding assisted living facilities. Maisano suggests calling the Ombudsman's office and asking if there have been complaints regarding a facility you are considering and, if so, how those complaints were resolved. The National Consumer Voice provides a national directory of Ombudsman's offices on its website. Once you have made your visits, discuss the results and your findings with everyone who helped with the process and make a choice based on the facility that best seems to fit all needs and meets the greatest number of criteria in the steps outlined above. One word of caution - often some members of the "search party" will fall in love with one facility early in the process. Unless your options are severely limited, it is best to visit at least 3 facilities before deciding. Remember that if a facility passes muster on the first visit, a second visit is to evaluate staff and administration. No facility should ever be chosen until that second visit has occurred. Maisano says the hardest part of the process is realizing that you or your loved one needs to be in an assisted living facility. Once that realization sets in, diligence and research, asking questions and visiting top facilities more than once are key to a successful assisted living facility search. The good news, she says, is that after all these things are accomplished, both the new resident and her family can rest assured that this new home will be a nearly perfect fit.